Some turtles in the Gulf of Mexico are still getting oil on them. Crude oil can harm or even kill them. The Turtle Hospital in Florida is using mayonnaise to help clean oiled turtles at the their facility. 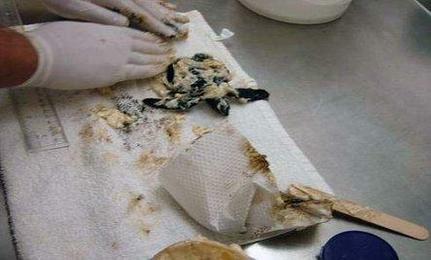 The common sandwich spread is said to work very well at cleaning oil off the turtles and is non-toxic. It can also be fed to them to help pass any ingested oil. Dr. Greg Lewbart from North Carolina State University said, “Mayonnaise works really well to clean the turtles because it bonds with the oil.” (Source: North Carolina State) Mayonnaise is also inexpensive, and easy to find. 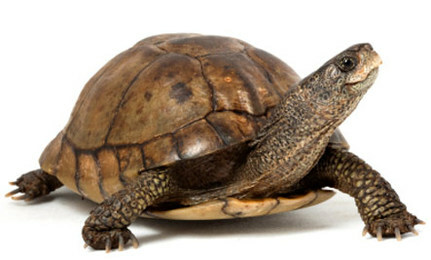 As of August 13, 525 dead turtles had been collected in the Gulf. They died from oil in their habitats. This number may very well be lower than the actual death toll. There could be many more that were oiled but never noticed by people. There still is much oil in the Gulf. Scientists believe a very large amount sank and is on the bottom. Floating seaweed called Sargassum also has been reported to contain oil. Sargassum mats provide floating habitat for turtles, and other marine species such as crabs. This summer 25,000 sea-turtle eggs were relocated from Gulf beaches to Kennedy Space Center to protect them from surface oil, and to prevent the newly hatched babies from swimming into the oiled surface waters which would have killed them. The turtle hospital is located in Marathon, Florida, which is in the Keys. Since 1986 they have rehabilitated released about 1,000 turtles. According to the Sea Turtle Conservancy, Florida is home to 90 percent of all turtle nests in the continental United States. Mayonnaise can also be used for cleaning pine pitch, tar, or grease from human hands and tar from car paint, says Yankee Magazine.